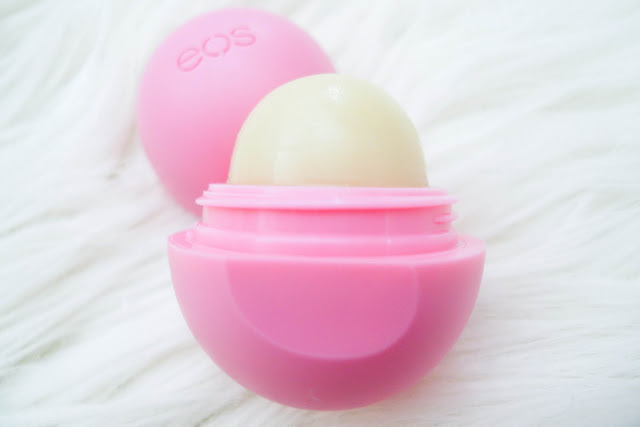 "eos lip balm is 95% organic, 100% natural, and paraben and petrolatum free. 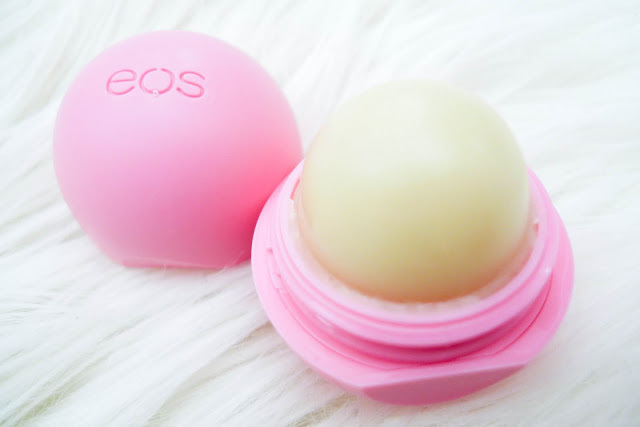 Packed with antioxidant-rich vitamin E, soothing shea butter and jojoba oil, eos keeps your lips moist, soft and sensationally smooth." - from EOS website. Ingredients: Olea Europaea (Olive) Fruit Oil*, Beeswax (Cire D'abeille)*, Cocos Nucifera (Coconut) Oil*, Simmondsia Chinensis (Jojoba) Seed Oil*, Natural Flavor, Butyrospermum Parkii (Shea Butter)*, Stevia Rebaudiana Leaf/Stem Extract*, Tocopherol, Helianthus Annuus (Sunflower) Seed Oil*, Fragaria Vesca (Strawberry) Fruit Extract*, Limonene1, Linalool1. 1Component of Natural Flavor. *Organic. Certified Organic by Oregon Tilth. Patent Pending. 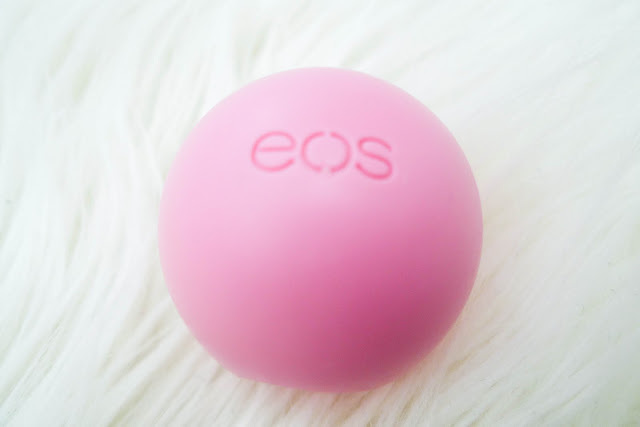 Moisturizing, non-greasy, reasonably priced ($3.29 from Ulta), easy to find in my messy purse, even more, it's PINK! This Strawberry Sorbet smells (and tastes?) more artificial than other flavors I have tried - Read my review on Sweet Mint Here and Lemon Drop with SPF 15 Here. Sweet Mint is still my favourite because of its minty sensation but this Strawberry Sorbet one is no doubt the first runner up. I am still on the hunt for the Limited Edition purple one. Let me know if you know where to hunt them down!